You are here: Home / Comparison / Carrier vs. Trane Air Conditioner: Which One is Better? Most often you will hear people asking, what is the best brand of air conditioning system. There are two brands that are considered to be the leading brands: Carrier vs. Trane. And if you are planning to buy an air conditioning unit, you may wonder which one is the best buy. Every brand has its share of pros and cons. Depending on your needs, budget, and personal preferences, you can definitely choose the best buy. Between the two brands, which one is the better choice: Trane or Carrier? This product review gives you all of the details that you want to know and eventually, get to choose the air conditioning unit that suits you best. Trane is a highly reputable brand that provides a wide range of HVAC products including parts and supplies for residential and commercial use. This brand does not have any specific product lines and present their HVAC units with model numbers. SEER Values: For low-end airconditioning units, the SEER rate is just 13. But for Trane, the SEER values are 14.5 or even higher. Trane is much more expensive compared to others but worth the purchase. Variable Speed Technology: One of the features that you find in Trane air conditioning units is that it has a condenser inside that allows the unit to have different range of speeds. Spine-Fin Coils: Some of the brands make use of copper coils which is prone to corrosion and leaking in the next 10 years or more. The brand uses its own exclusive coils that are made from aluminum which is durable. Exclusive Compressor: Most of the air conditioning units that you find in the market today make use of Copeland Scroll Compressor. Brands like Trane and American Standard make their own compressors. What sets the brand apart from others is that it features roto-lock connectors. Cons: One of the main downsides is that single-stage models have 75 db which may be a bit noisy for some. But if you go for high-end models, this is not a problem. 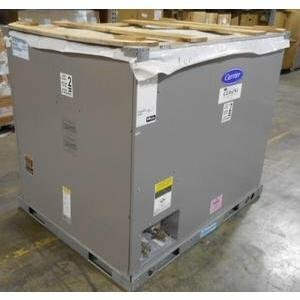 Trane is considered to be a high-end brand so you can already expect a much more expensive price. Carrier is a known brand that sells a wide range of products. Known for its quality and performance, there are so many reasons why people continue to buy their products. The brand is known for their energy efficient air conditioning units. High SEER Rating: Same with Trane, Carrier units have high seasonal energy efficiency ratings. The brand’s SEER rating is 21 which is higher compare to other brands. Durable Scroll Compressor: Another main feature of Carrier’s units is that they have a really durable scroll compressor. The brand makes use of Carrier Scroll compressor that is considered to be highly reliable and durable. WeatherArmor Ultra: With Carrier, they designed their units with protectants to make sure that they can withstand even harsh weather. This protects the units and increase the lifespan of the airconditioner. Cons: The brand may have high SEER rating but when it comes to warranty coverage they don’t offer that much. Most of them come with 5 year warranty or 10 year warranty coverage compared to other brands. The price is much more expensive. The choice as to whether you should go for Trane or Carrier all boils down to your personal needs and preferences. These two brands have a lot to offer. If you are looking for an air conditioning unit that is designed for different kinds of weather, the best choice is Carrier.On the other hand, if you are looking for a unit that is built to last and can offer varying speed controls, the best one to get is Trane. Each of these brands have their respective strengths and weaknesses. Both of them are also considered to be relatively more expensive compared to their counterparts. But with the kind of quality, features, and technical specifications that they offer, you get to have the worth of what you pay for. 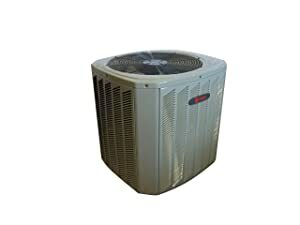 Trane and Carrier are air conditioning units that deliver superb performance and built to lst.